Strong Bad Email : "sibbie"
Click on "purple thing" to see a poloroid of SB "lookin' grape". I mean "good". "Grape and Good" . 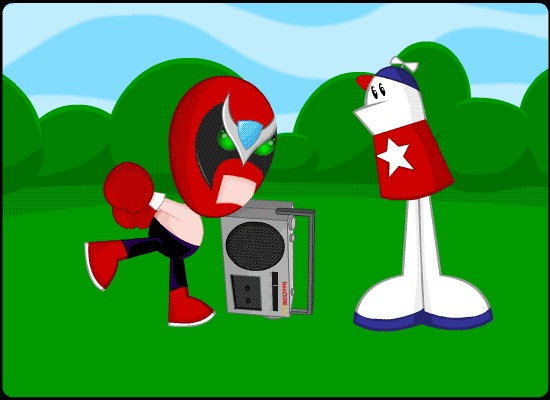 Yes, the boombox outside is the same one used in "autobiography"
Wait until after the paper for a bit and then you can click on the boom box to see SB school Homestar on how to say "fhqwhgads" . No luck, but Strong Man wins a gold star for his continued effort after "cheat talk"